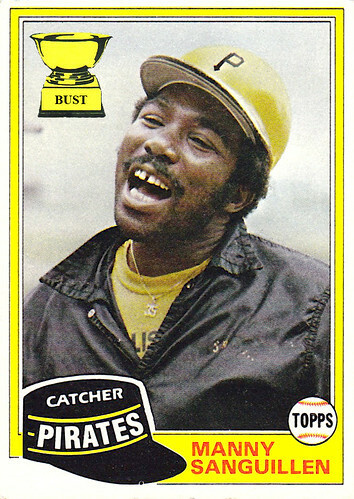 Why is Ken Phelps so happy? (A) It's Pocket Protector Night at the Kingdome. (B) He just won first place in the Best Lip Foliage of Seattle contest. 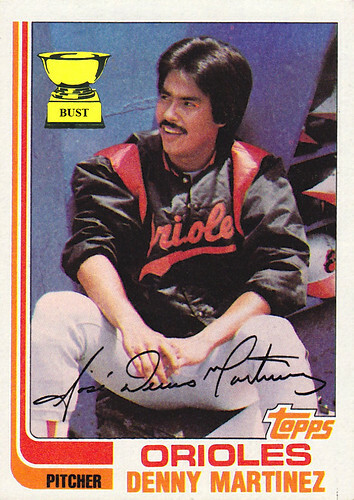 (C) He's penciled in as the designated hitter, allowing him to do math equations for most of the game. (D) He always gets a kick out of wearing his Groucho glasses. 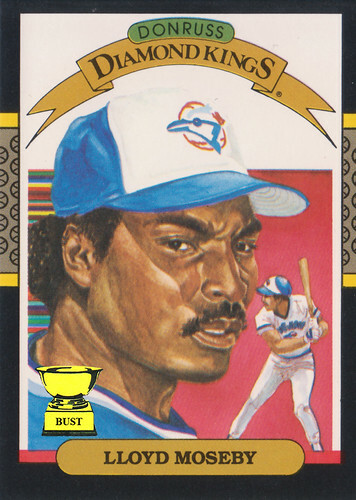 Catch this pop quiz: What's Manny "Sangy" Sanguillen doing in the above photo? He dove for a ground ball into the hole, popped up, made the throw to first and realized the infield dirt had turned his uniform the colors of throw-up. 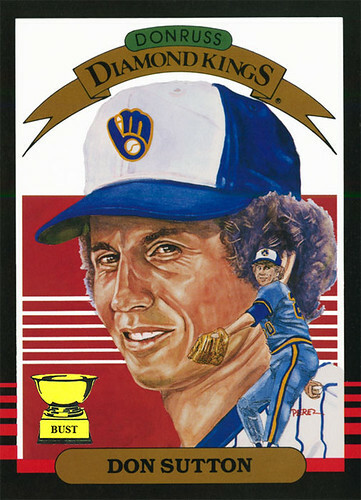 He sprung into the air to snag a line drive, propelled upward by his magnificent afro. 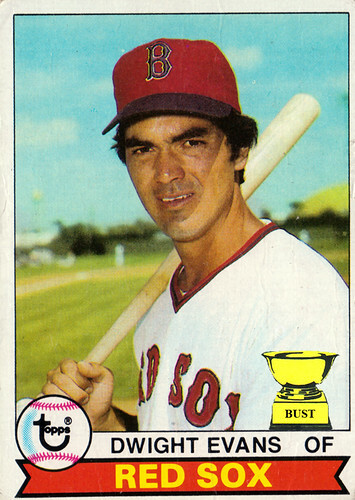 He caught a ball that careened off his face, stylishly shaping his sideburns. 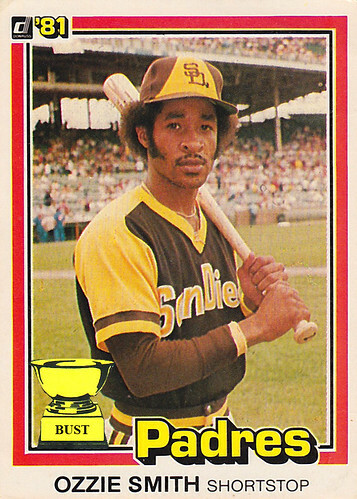 He somehow, beyond all expectations, kept that hat on his head without once falling off for a full game. 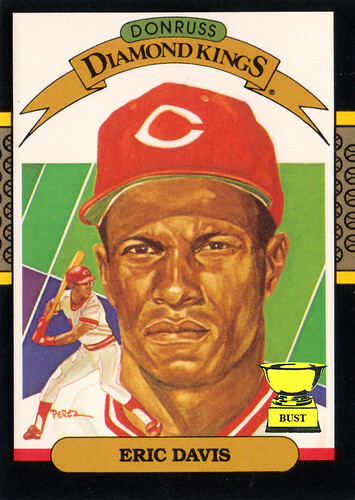 He orchestrated a trade to the Cardinals and won a World Series and made the Hall of Fame. 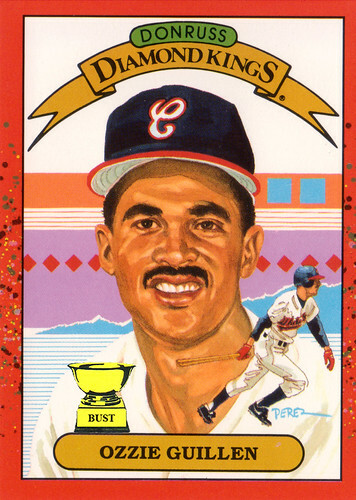 Marking the occasion: This is the 200th Football Friday here at the Bust, so we wanted to bring you a card of a classic football player. We won't be poking fun at Mr. Nitschke, mainly because we think he could still beat us to a bloody pulp from beyond the grave. 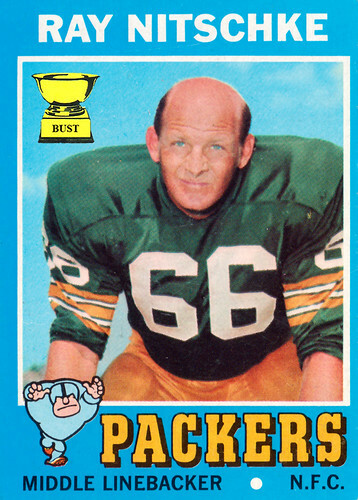 He was the prototypical middle linebacker, a guy who hit so hard he practically invented the concussion. He wasn't really bald; he shaved his head like that to guarantee no hair would act as padding and lessen a blow. He was a man's man and his toughness helped define the NFL. So let us just go ahead and apologize for featuring you, Mr. Nitschke, on a blog written by a couple of weaklings. 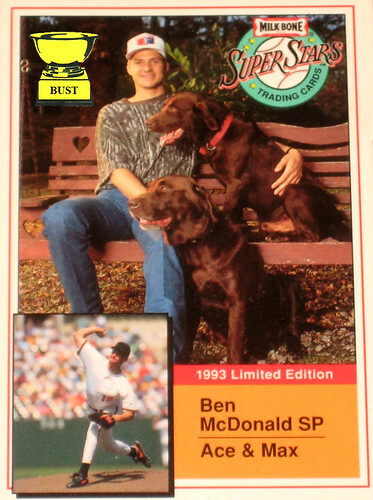 Not the sharpest tool in the shed: We here at the Bust love Ben McDonald, but he was definitely a little strange. Previously, we detailed the time he tried to talk to the president though a fake microphone. 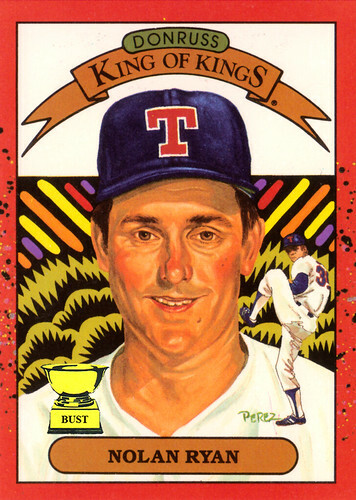 And while Ben could keep his jeans pleated like no one's business, he was certainly gullible, as evidenced by this card. He bought loose-fitting camouflage shirts, expecting to be invisible wherever he went. He purchased a whole litter of chocolate Labradors, expecting them to actually taste like chocolate. 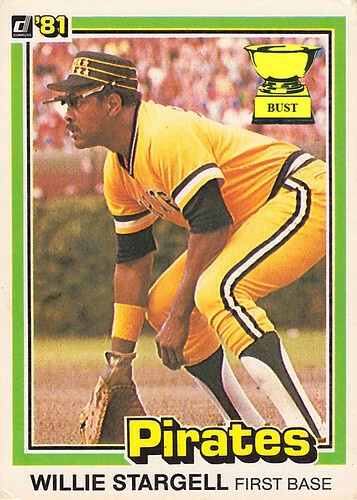 And when he found out Baltimore's team was actually called the "Orioles" instead of the "Oreos," he ripped out his uniform's stitching and downed a whole package of Double Stuffs. Hey, at least he didn't eat the dogs. 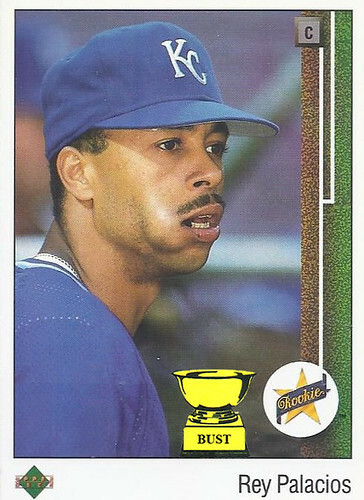 If you don't know, you'd better ask somebody: What all is in Rey Palacios' mouth? Jordan kept a tube of tennis balls in his shorts. Jordan hit golf balls while dressed like an Australian hobo. Jordan spiked volleyballs from about 16 feet in the air. Jordan hit 3-pointers with bowling balls when he was in the zone. 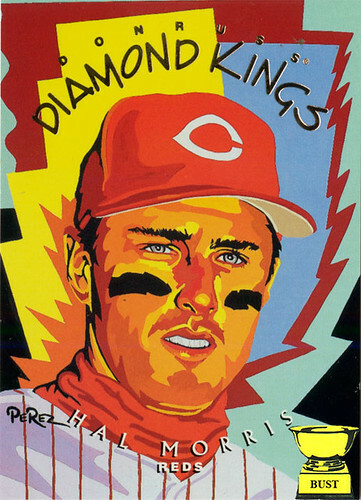 9) "Touch Of Grey Red"
8) "Friend Of The Devil (And The Same Color)"
7) "Truckin' (To The Barber)"
6) "Eyes Of The World (Behind Those Shades)"
4) "Hell In A Bucket Mullet"
1) "Fire (Crotch) on the Mountain"
Reggie's incredibly round, balding head resembles a soccer ball. 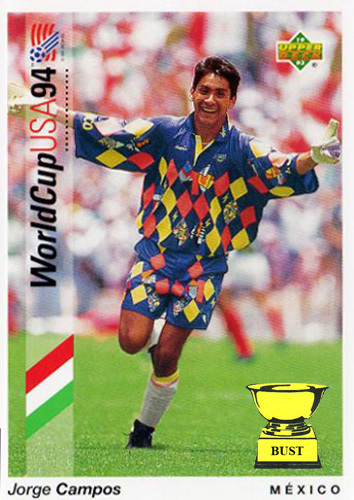 Reggie is wearing mom jeans, and some moms take their kids to soccer practice. He's wearing a T-shirt that has either a soccer ball or a snowman's head on it. In "The Naked Gun," he was programmed to kill the Queen of England, and the Brits sure do love their football. Welcome to World Cup Week: Every four years, the world watches as the best footballers on the planet battle for national glory. Even Americans pretend to care, at least until the Yanks get knocked out during or shortly after the group stage. 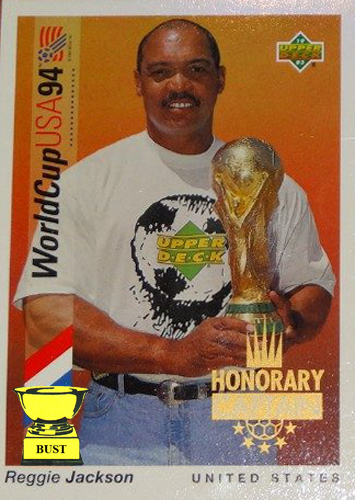 In honor of the 2014 World Cup, we hooligans at the Bust are pleased to celebrate as well with seven of the most atrocious pieces of soccer-related cardboard to grace the Internet, each one of them certain to earn us a red card. It's on! 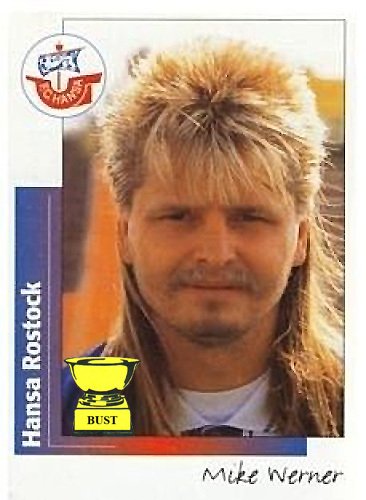 Putting the "r-o-c-k" in Rostock: How legendary was German footballer Mike Werner's mullet? 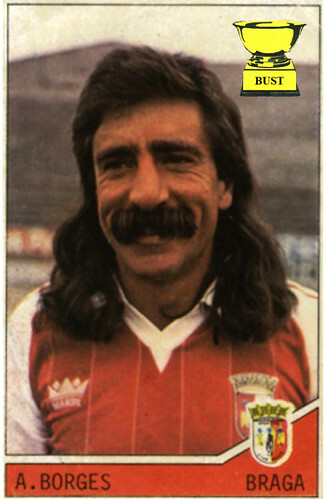 It was so legendary that Hansa started up 1-0 every match just because he was on the pitch. It was so legendary that it hosted its own Oktoberfest every month of the year. 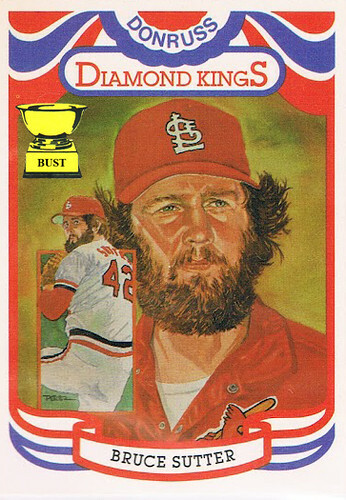 It was so legendary, it made other men lose their hair just by looking at it. It was so legendary that Beethoven came back from the grave just to write a concerto about it. 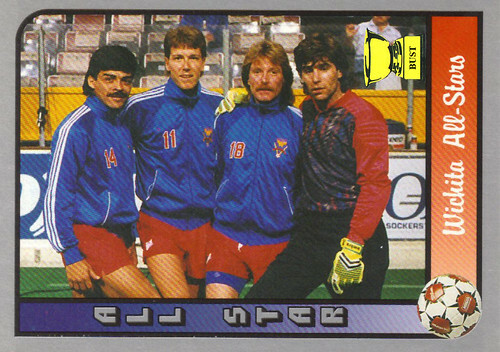 How legendary was Mike Werner's mullet? It was so legendary, it built its own Mercedes, tore down the Berlin Wall, and made sweet love to Katarina Witt all on the same night. Deutschland! Deutschland! Deutschland! 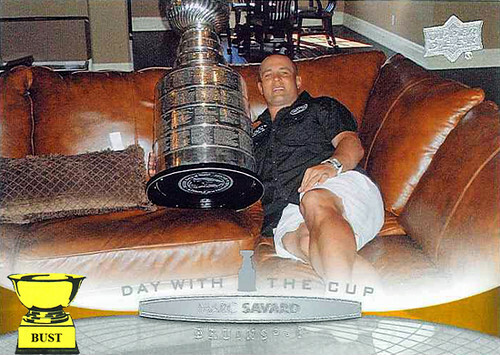 How Tim Thomas spent his day with Lord Stanley's Cup: Tim woke up around 9 a.m. in a bathtub full of ice, missing a kidney, and with no memory of the past 36 hours. A note on the bathroom mirror read, "If you want to keep your other kidney, pay what you owe." 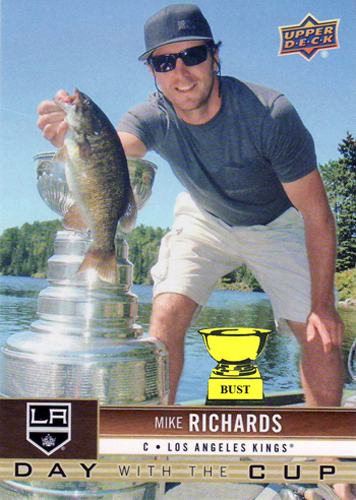 Still woozy, Tim put on a T-shirt two sizes too small for him, rounded up the Stanley Cup, the Vezina Trophy and the Conn Smythe Trophy, and headed for his speedboat at the marina. 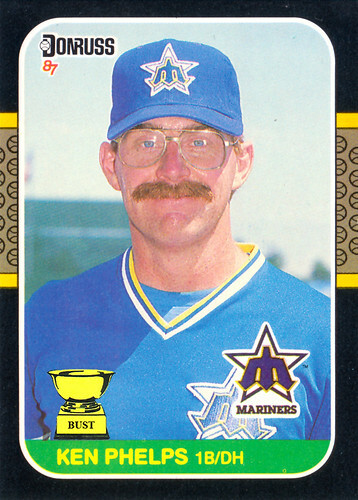 Tim sped off for international waters, where he sold the trophies to a sketchy Ukrainian businessman named Yuri. He then hurried back home and paid what he owed $450 to bloodthirsty Comcast. 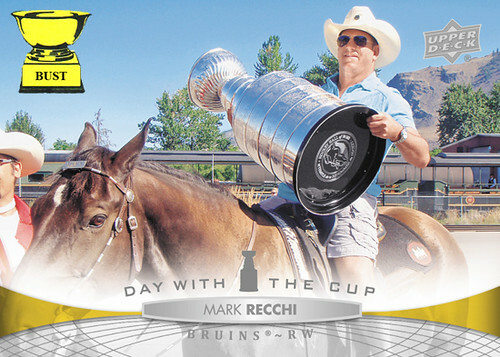 Here's how Mark Recchi spent his day with Lord Stanley's Cup: Mark rose with the sun and headed down to the stables after donning traditional Western wear: a polo shirt, cargo shorts and aviator sunglasses. He then fed his favorite horse, Cupcake, oats from the cup. After a few minutes, he got jealous and began eating oats out of the cup, as well. Mark got Cupcake saddled and punished the horse for its insolence by riding it while carrying the 33-pound cup. Cupcake, never one to suffer fools, soon began bucking, throwing Mark and the cup to the ground. Mark and the cup were then taken to the hospital by ambulance, but both recovered quickly. 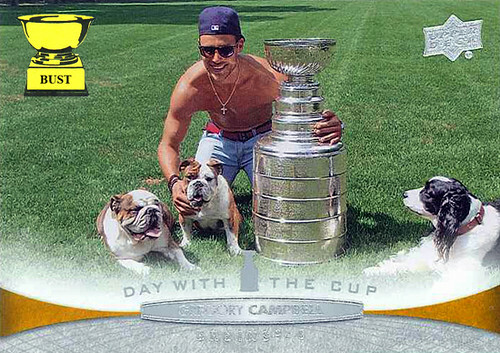 Here's how Gregory Campbell spent his day with Lord Stanley's Cup: Campbell woke up, chose his heaviest necklace, put on a shirt, took off his shirt, grabbed his shades and the Cup and headed to the dog park. Once there, he commandeered whatever dogs he saw and told their owners they could take photos of their pets with him and the Cup. After the police were called but before they showed up, a dog owner snapped this shot, which would later be used as evidence in the case of the shirtless creep barking up the wrong tree. Welcome to Return of Stanley Cup Week: It's that time of year, when most of Canada and a few people in the United States focus their attention on the last few teams battling to be crowned the kings of hockey. 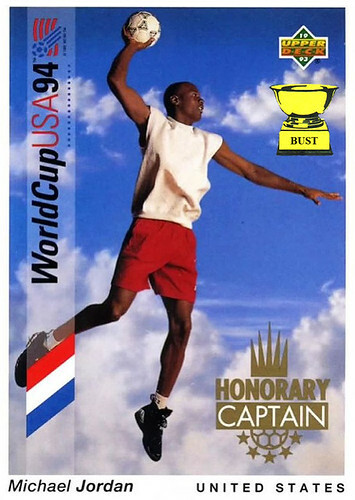 In celebration, we here at The Bust is bringing you seven days of athletes tougher than you doing ridiculous things with an old trophy. Enjoy, eh! Here's how Tuuka Rask celebrated his day with Lord Stanley's Cup: Rask woke up at the crack of noon, grabbed the Cup and walked, naked, to his hot tub. He emptied out the Jacuzzi and filled the Cup with Winner's Cup Vodka. One Cup-full after the next, Rusk poured the vodka into the tub. When the hot tub was full, Rask jumped in and turned on the jets. Three hours later, his skin resembled a prune and he had gotten drunk through osmosis. 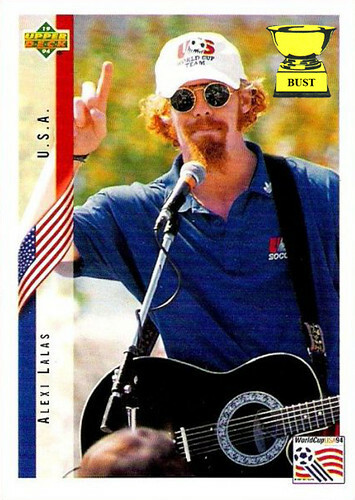 This photo was snapped soon after, as Rask yelled, "I love America! Jump in, the vodka's fine!"